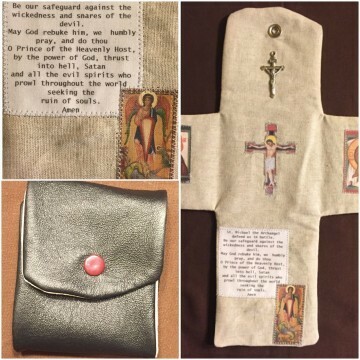 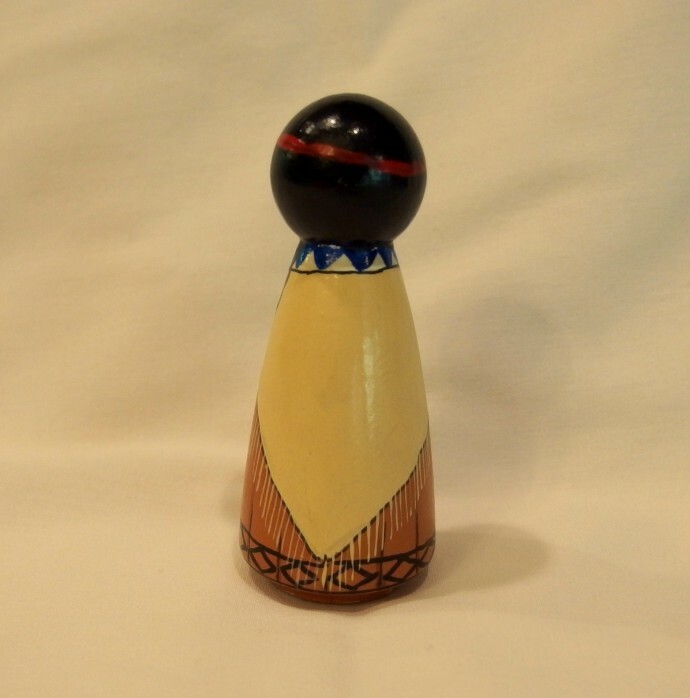 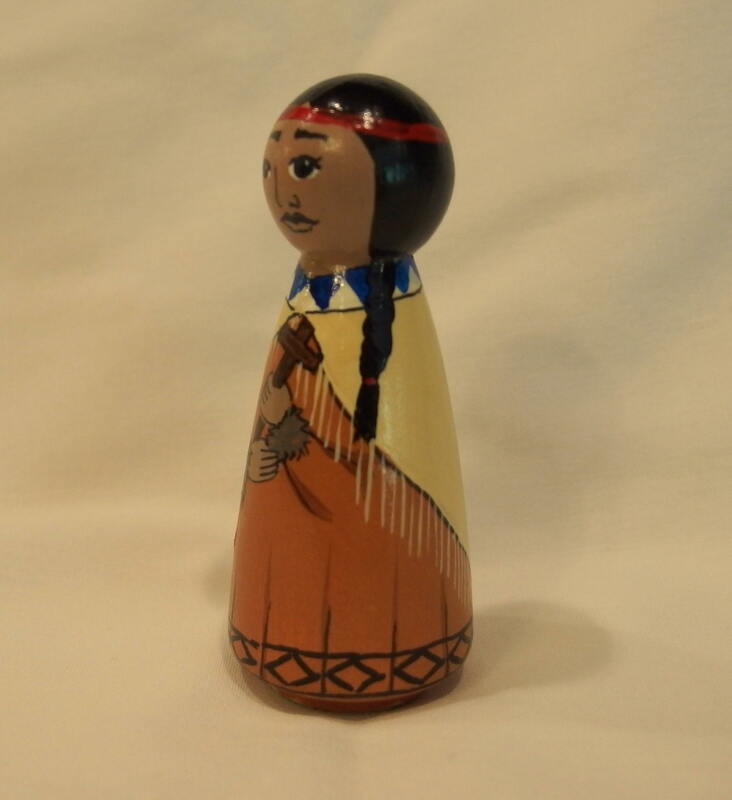 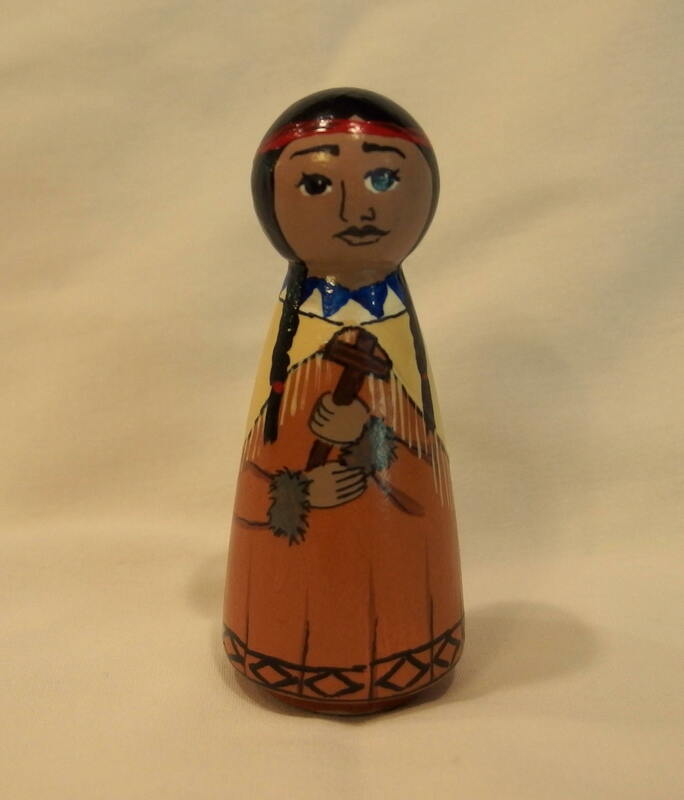 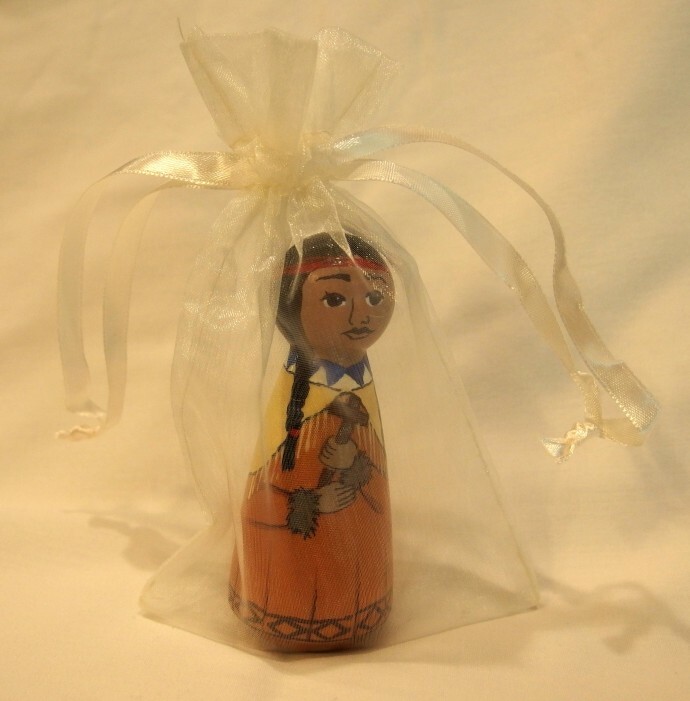 This 3 1/2″ tall St. Kateri Tekawitha peg saint doll makes a great sacramental gift. 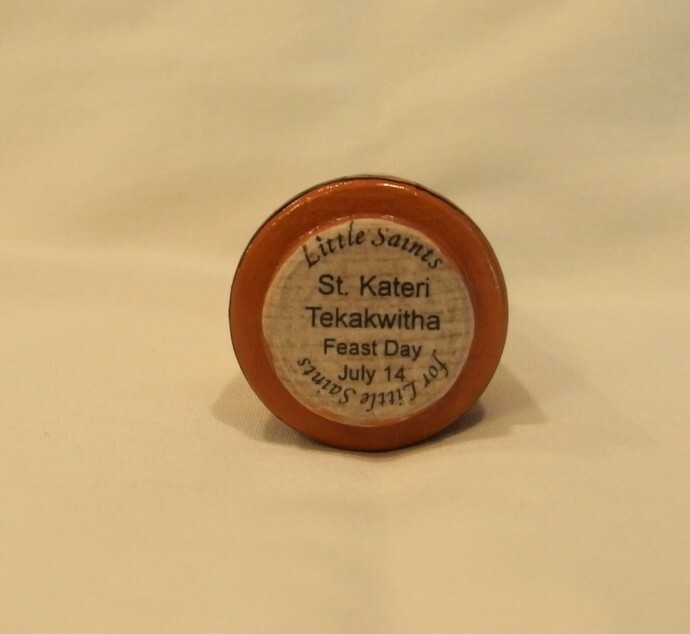 St. Tekawitha is clothed in Native American Indian garb with fringed shawl. 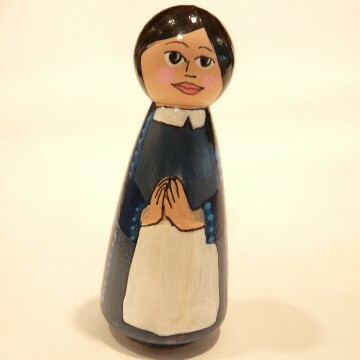 At age 19, she converted to the Catholic faith and took a vow of Chastity. 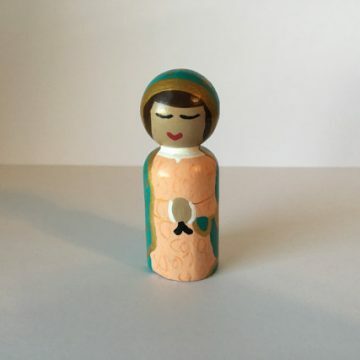 She was very devout, but sickly. She is the patron saint of ecology and the environment, and Native Americans. 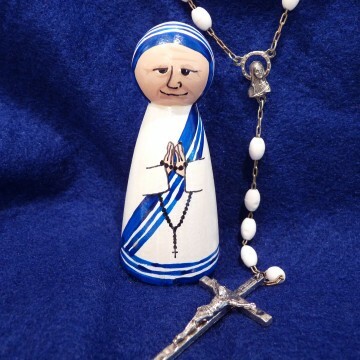 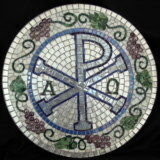 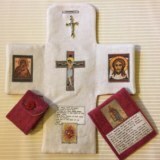 Feast Day: July 14.